Does the name Marcia Kilgore ring any bells? If perhaps the name isn't familiar, I'm pretty sure you will have come across one of her brands in your lifetime. She's the founder of Bliss Spas, Soap & Glory and the infamous FitFlop. She is basically the woman with the midas touch and she's coming at us all again with a new launch in beauty that could forever alter the world's retail landscape to date. This is Beauty Pie. The name is cute, but let me assure you that this brand is all business. Kilgore has decided to bring into the world a "no-nonsense" and non-bricks and mortar beauty brand that is quite nearly a tenth of the cost of any big brand beauty competitor. And here's the kicker. The stuff is made with the same luxury formulas as your designer blush, foundation and mascara. Only Beauty Pie doesn't offer flash packaging or pay for the service of middlemen. They are delivering an incredible product at a rather unbelievable price. End of. So what's the catch? As there's always a catch, right? Well, this one comes with an interesting curve ball. Let me start first by explaining my own story with Beauty Pie. Don't worry, it's not a long history as this brand is as new as they come. I was sent a box of products, last month. Upon opening the box, I didn't read any of the press releases that came with it. I went straight for the goodies. I started playing around with the foundation, the blush and the eye liner. I loved the simple packaging and I absolutely adored the product itself. Then I sat back down, readying myself for the stomach churning reality of price. I had no idea I was basically trying on the new "budget friendly" beauty brand. And here's where it gets interesting. Pretty easy to notice that you are presented with two options, a full retail price and a members only factory cost. 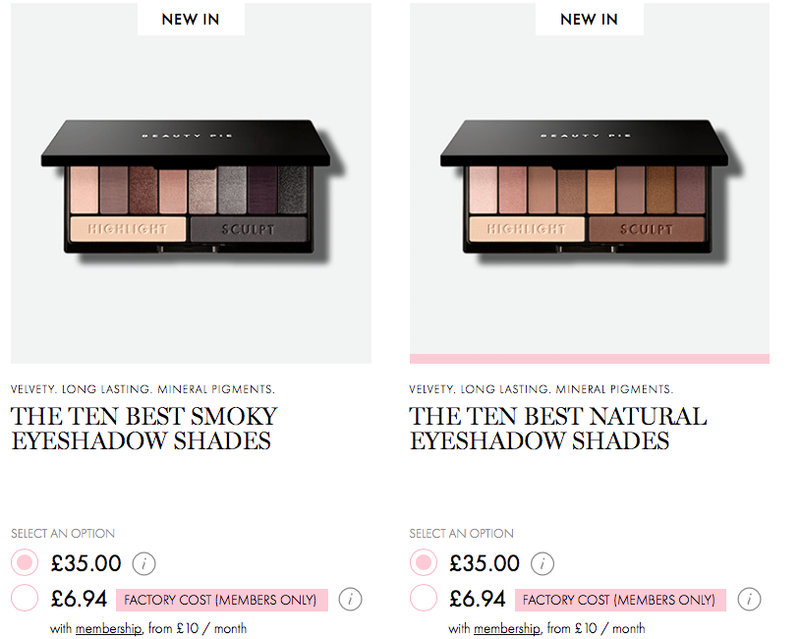 Beauty Pie is a subscription service in which you are a "member" for the price of £10 per month. This £10 allows you to spend £50 per month on beauty products from Beauty Pie, that's using the Beauty Pie factory cost. Such a normal spend wouldn't get you far in a department store. We're probably talking about you walking away with a foundation and a concealer at retail prices, if you are lucky. But, with Beauty Pie's factory cost you're pretty much able to order home a whole month's worth of makeup. Vogue has written that in spending just £20, you are actually receiving £100 in product. Pretty snazzy right? So I suppose everyone wants to know if this is like those shoe subscriptions online? That was my first question - am I going to receive junk I don't need every month? I'm pleased to report this isn't the case. While you are charged £10 for every month you are a member, you are under no obligation to order. And if you order nothing, your £50 limit rolls over to the next month. That pretty much is golden for those of us that don't have the money every month to go on a beauty spree, or perhaps don't need to because we don't go through products as quickly as others. In short, and really just to sum this up as easily as possible, I have been really looking forward to introducing you guys to this brand. I've been using the makeup for a few weeks now and every time I take a product out in front of a girlfriend they are always very interested in what it is I'm using and the cool brand name behind it. 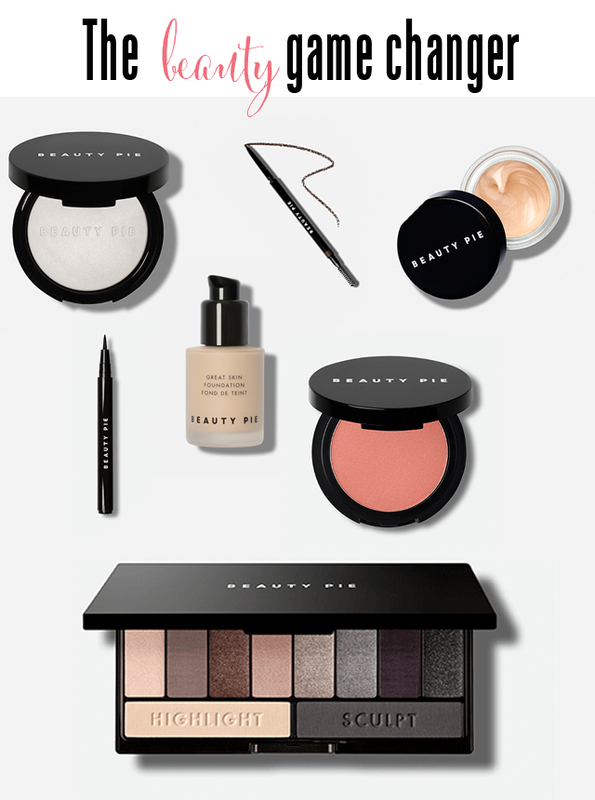 While Beauty Pie likes to think of themselves as the no frills, just basically fabulous, beauty brand, I have a feeling they are going to have a cult like following pretty quickly that will rival many of the big brands that have been charging us extortionist rates for years. It's definitely grabbed my attention and I do hope I've managed to grab yours. The minute I understood what they were doing, I was on keen to shout about it. Marcia Kilgore, Beauty Pie is indeed going to change everything. Congratulations and thank you!